13 days of guys...for geek girls like me! So I told you all before I was going to be doing my 12 days of awesome men of 2009 list and here I am getting started. I'm doing my best to stay on track, since I'm definitely going to need to stick with a schedule if my 2010 book list is going to be read in time! So here, in ascending order, are my honorable mentions for the 2009 men's list. I know, I know, 12 entries should be more than enough right? Well, wrong. I'm indecisive and leaving any of these guys off the list was too difficult. So in a very specific order, let's get this Best of list started! 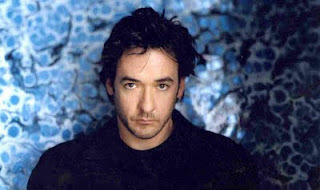 John Cusack- well he's on the list because he should be on every list ever! Ok, not every list ever, I mean I'm not sure if can make the largest TurDuckEn on the planet or if he can scale the Eiffel Tower in record time (he probably can), but he did star in 2012 this year. So being John Cusack and starring in a Roland Emmerich film is enough to get you on the list. Jason Schwartzman-Again, this is mostly because it's my list, but there are several other really good reasons. His turn in Funny People as Seth Rogan's inconsiderate roommate was something of a highlight in the film. His show Bored To Death on HBO may not have been quite the hit that the second season of True Blood was for the network, but still with a cast that boasts the hilarious Zach Galifianakis and Ted Danson, it's a comedy that's perfect for the delightfully quirky Schwartzman. And last, but certainly not least, his vocal talents in Wes Anderson's Fantastic Mr. Fox make the movie a little more than fantastic. Since next year he'll be in Edgar Wright's already buzzworthy adaptation of Scott Pilgrim v. The World, I'm pretty sure he has a good chance of making it on the 2010 list as well. Taylor Lautner- to spare you all a little suspense, Lautner is the only Twilight Saga cast member on the countdown and for good reason. Despite talk after the first Twilight that Jacob's portrayer would be re-cast to fulfill the physical demands of the role, Lautner fought and won to keep his job. His chemistry with Bella is one of the few believable things in the movie and he's got that brooding gaze thing down to an art. Not to mention the abs. They're ridiculous. So why honorable mention, you may ask? Well darlings, this young one is still 17 (although that may still count as being man-age in werewolf years). Despite the way the PR campaign has thrown him in the face of every girl from the age of 8 to 80, he's still technically under the acceptable age radar, and so, I couldn't in good conscience put him on the list for 2009. The good news: if Eclipse is half of what New Moon was to the box office, he's definitely on the 2010 list. The bad news: The Eclipse PR rush has already begun, so there's roughly 7 months to get through of screaming Twihards.